The Theatre Seminar/Production class presents a social-issue play each year on a topic of relevance to high school students and the community. 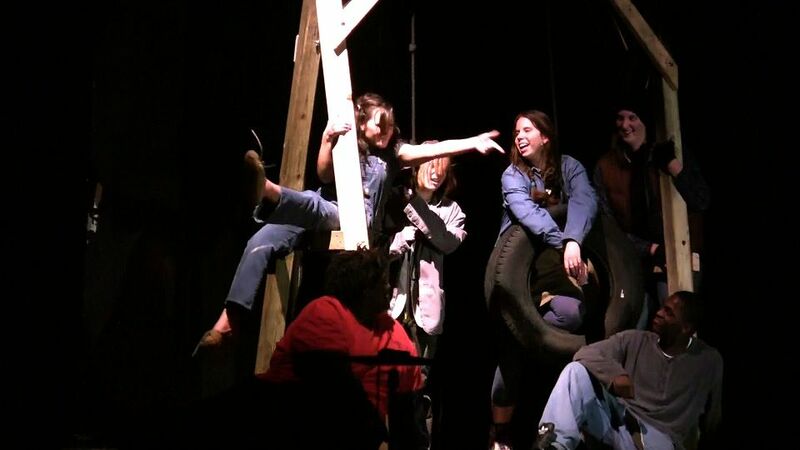 Previous productions have dealt with the issues of tolerance, teen suicide, and homelessness. 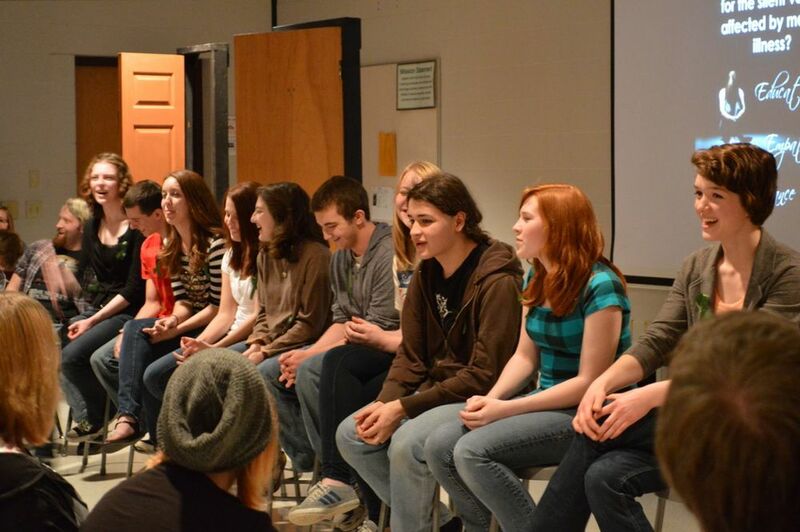 North was the first area high school to present the powerful play The Laramie Project. Other class projects have included staging a children’s theatre version of A Christmas Carol and creating an original script and video on abusive relationships for Harbor House, a local women’s shelter. On Wednesday, May 30, 2018, the Appleton North High School Theatre Seminar/Production and Acting classes will present an original theatrical piece entitled “HEAR MY STORY: NEWCOMER VOICES” at 7:00 P.M. in the Large Group Instruction Room at North High School. The hour-long play features verbatim monologues derived from one on one interviews of North’s Newcomer students conducted and performed by members of North’s theatre class. North theatre educator and director Ron Parker states, “This project is the culmination of a year-long collaboration between the theatre students and those recent arrivals who are part of North’s English Language Learners program. We have students from virtually every corner of the globe: Africa, Asia, Central and South America who have come to Appleton for a variety of reasons but who all share the universal desire learn and grow. These “newcomer” students have very limited English skills which makes both communication and socialization difficult challenges. We began the school year by bringing the Theatre and ELL classes together through a grant provided by the Fox Cities Performing Arts Center which centered around the theme of “Getting to Know You” which is the signature song from the musical THE KING AND I. During the course of many weeks, the two groups of students learned about each other and shared their stories, despite the language obstacles. What they all realized is that despite their different backgrounds and experiences, they were very much alike. Unfortunately for most of the North student body, the Newcomer students remain a mystery. Their inability to communicate, due to their current limited ability to speak English, creates a barrier to meaningful connection and understanding. We decided that through the medium of theatre it might be possible to bridge this divide and provide a way for these amazing young people who have come here from all over the world to share their stories with their peers and community. The play will be performed for North student body during the school day on May 30th prior to the public performance that evening. Admission is free, but seating is restricted to 100 people. Both the school and public performances will be followed by a brief talk back. For further information, contact Ron Parker, director at 832-4300 or via e-mail parkerronaldc@aasd.k12.wi.us .